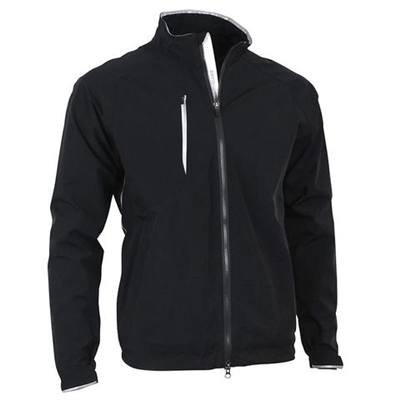 The following ladies half zip mock neck long sleeve tech shirts and pullovers are available from CEOgolfshop in size XL and other sizes as of today. Zero restriction Ladies Z400 Morgan mock neck, coral. Designed for freedom of movement with golf swing. Closeout, XL Coral only. MSRP $100. Women’s Navy Blue Play Dry 1/4-Zip Active Pullover. Women’s Cardinal Red Play Dry 1/4-Zip Active Pullover. Greg Norman pullovers are in stock all sizes and colors and matching men’s are available. 92% nylon/8% spandex, 6¼ oz. Play Dry® moisture management jersey knit body with blocked side panels, UPF 50+, 1/4-zip neck with reflective taping, self fabric sleeve cuffs, even-hem bottom with tailored side vents, shark logo embroidered at back yoke. Imported. S-2XL. in stock all colors now. MSRP $79. Discounts available for quantity purchase, no promo code needed. No set up charge with supplied .DST file and larger orders. Some brands charge extra for 2XL and larger. Embroidery included in custom quotes. Kaily Long Sleeve Mock Neck by Daly Sports in bark or black with snake print on shoulders. Sizes XS to XL. MSRP $129. Kaily Long Sleeve Mock Neck by Daly Sports in black with snake print on shoulders. Sizes XS to XL. This ladies long sleeve mock neck polo is designed with a fabric that keeps you warm and dry through the chill fall days. A touch of animal snake pattern gives it a fun look. Fabric: 94% polyester. 6% spandex. Micro Light. The items in this article are not in the online store, but can be ordered by contacting us via our contact form, chat, email, or phone. ABOUT CEOGOLFSHOP: CEOgolfshop, is a 100% Women owned Florida corporation, offering luxury men’s and women’s apparel, gifts, and custom executive products for corporate, retail and wholesale customers. From private label to top luxury brands, CEOgolfshop manufactures or sources virtually anything. Contact sales for more information. See also CEOpromos.com for more custom logo products.